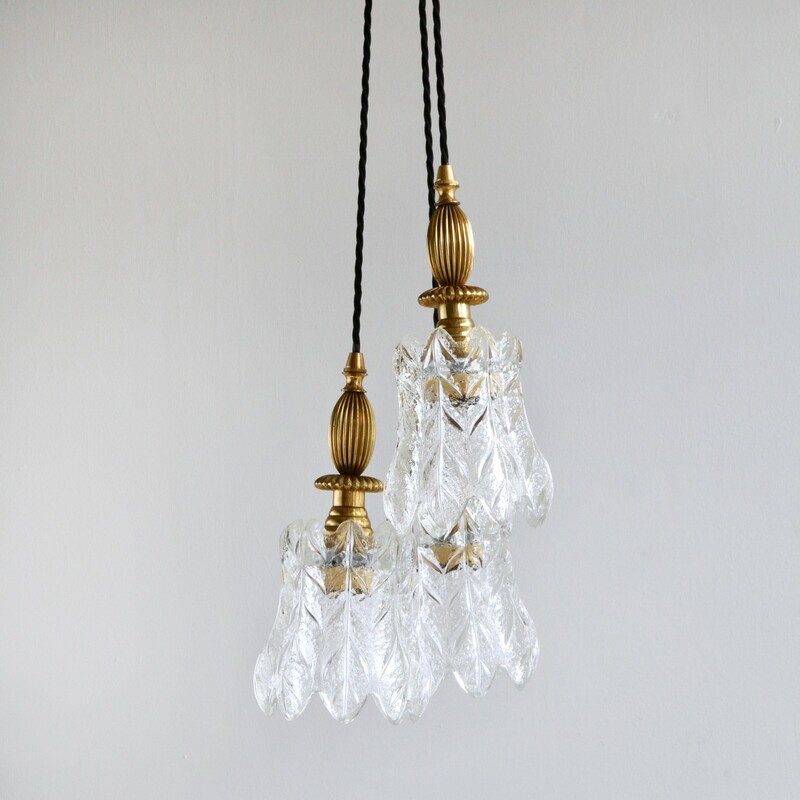 Three mid-century textured clear glass pendants with their original brass fittings. Originating from France they have been rewired with black braided flex. Sold as a set of three. Could be hung in a cluster as pictured or in series.